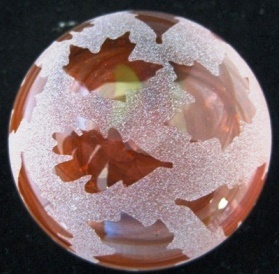 This frosted orange paperweight has an etched leaf design. Many different colors and designs available. 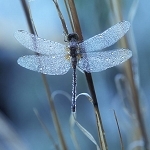 If it gets smudged simply wash with soap and water. Approximately 2" in diameter.